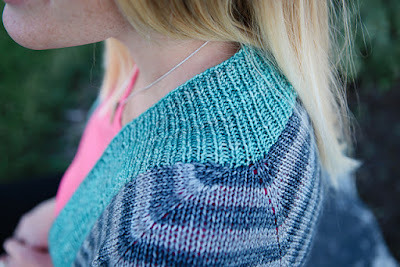 The Indie Design GAL is in full swing over on Ravelry. As part of the GAL I am interviewing a selection of my favourite participating designers. Here's the third in the series, an interview with Jenny Vangy. Jenny Vangy is a mum of 5, who designs adorable knits for children, with the occasional knit for adults as well. Her designs are simple, with little touches that make them really special, such as a lace panel, or a little frill. One day I will get round to knitting myself her After the Ball cardigan as it is a such a versatile garment. 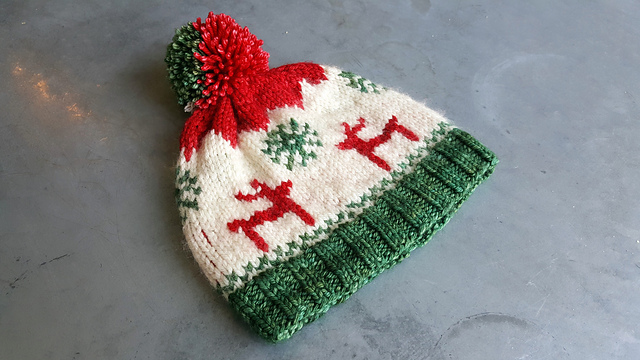 She has also released a couple of hat patterns (The Reindeer Paw and Oh Christmas Tree) for charity, both of which would be perfect as last minute Christmas gifts. Both my grandmas and my mom were avid crafters, and although I don’t remember learning to knit, I do remember knitting with all of them when I was very young. 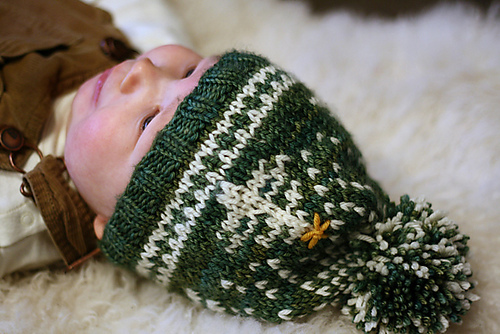 I crocheted a lot as a teenager, and really picked up knitting when I had my second son in 2010. When I was pregnant with my third son in 2104 I was sitting in church and the girl in front of me was wearing a darling blouse with ruffled sleeves. I sat there staring at it for the whole hour, and in the end decided that I could totally knit that, and thus Edith was created. Once my third boy was born I realized that the options for boys were limited, and my best bet was designing exactly what I wanted for my boys. I’ve got a bulky collection in my mind that I want to create, knit all with local, hand dyed yarn. 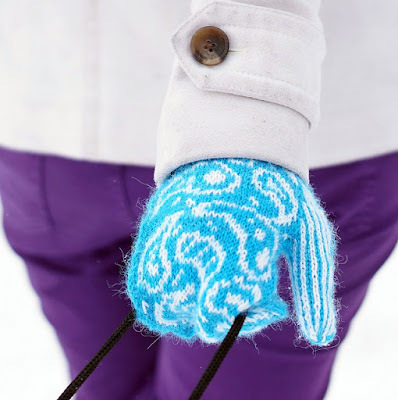 Other than that, I always have a bunch of patterns I want to create, but usually just pick the one that is appropriate for one of my kids at that moment. I don’t know that I have a favourite technique, but I do always love learning new things. Lately I’ve been trying to choose projects specifically so that I can try out new techniques, whether it’s as simple as a new cast on, or as complicated as a new sweater construction, or colorwork method. I’ve never done double knitting or brioche, and I plan to do at least one project of each this year. Oh, the GAL is so tempting to me. Every year I’ve stuffed my library full of new designs. This year I intend on knitting Kate Boswick's They’re Paisley. I have 7 sisters, and each year I knit a sweater for one of them. Besides that, I don’t always do a lot of Christmas specific knitting, I just knit a lot, all the time. If I don’t need the FO for a sample of a pattern, and it doesn’t fit one of my kids, I usually give it away to one of my 30 nieces or nephews. I love Jenny's designs! I made Edith recently, and I have a list of other of her designs to buy in the GAL!